The Bistro is a restaurant and event space within Adelaide Festival Centre. All ADN Satellite Symposium events will be held at The Bistro. The Bistro can be accessed via the Dunstan Playhouse foyer. 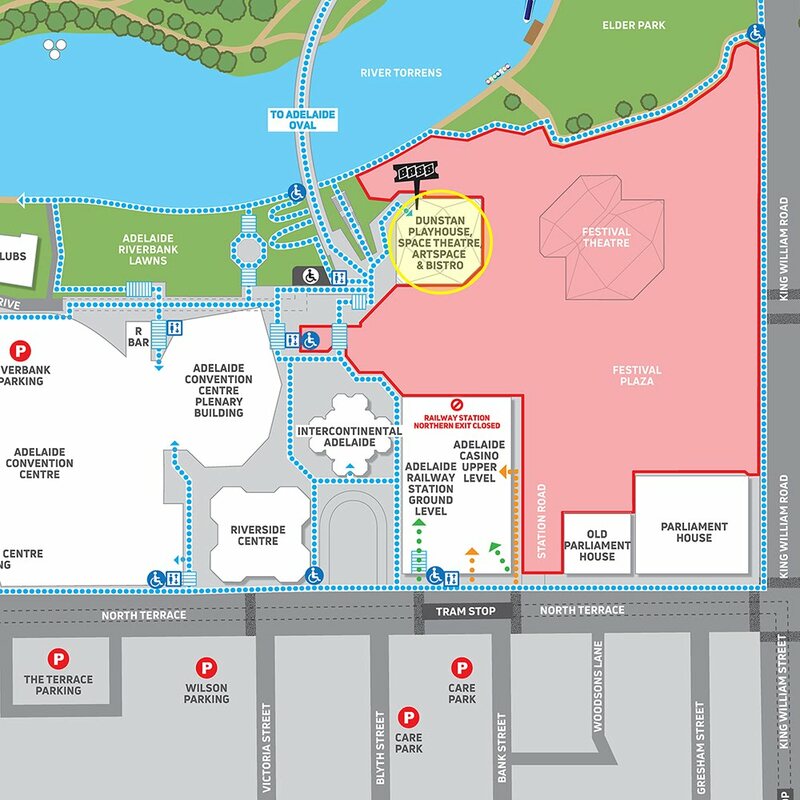 As Adelaide Festival Centre is undergoing refurbishment works, please take note of the pathways (in blue) available to The Bistro/Dunstan Playhouse below. The areas marked in red are inaccessible.